"Like any household detergent, keep away from children. *In-wear freshness of 1 large dose of Gain vs. 50 OZ bottle of leading baking soda detergent/scent." Ingredients: Contains Nonionic And Anionic Surfactants, Ethoxylated Polyethylene Polyamine (Polymer) And Enzymes. Instructions: Handle with Dry Hands. Add pac to drum. Add clothes. Close package after use. i love all the gain products. 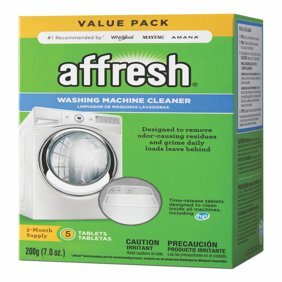 Gain flings get my families clothes clean With the fresh scents stay in your clothes im always asked what i use for laundry detergent i say nothing but gain detergent, softener and dryer sheets and i also gain dish detergents. I just wish that they would bring back the Gain dryer bars. They worked wonderful. Thanks Gain..
Love the way it leaves your clothes smelling. We have well water and it is so hard to find a detergent that takes away the smell of the well water. Leaves clothes feeling fresh!! I used to use Tide but decided to give Gain a try for whatever reason one day. I love it. It's less expensive, smells amazing and my clothes seem to get cleaner. I love how my clothes smell...I keep one of the large hard plastic containers and add different scents so I can alternate the use of different pods for different washes. Hey Gain, how about a multipack? Just askin! I bought these once by mistake - I thought they were the regular Lavender ones - my daughter washed her clothes and she said I needed to get this all the time because her clothes smelt amazing.